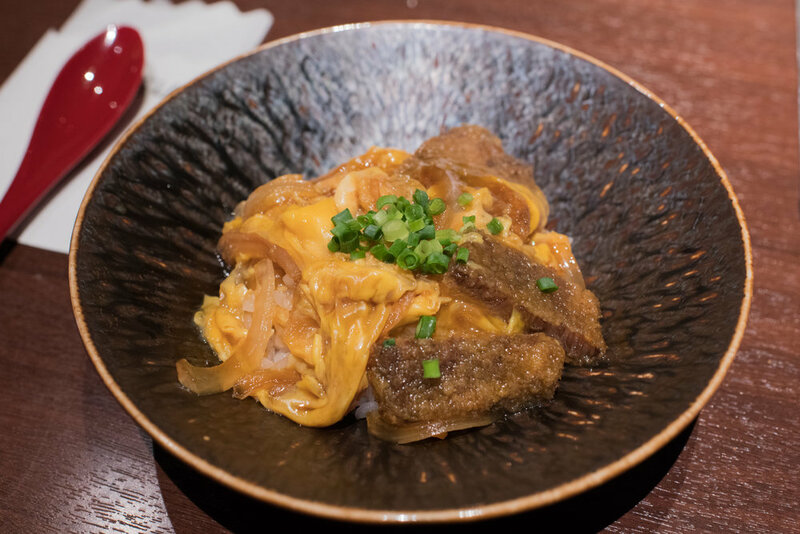 We’ve actually written a post about Seiyuzan a while ago but discovered that they have a new menu so here is an updated version. 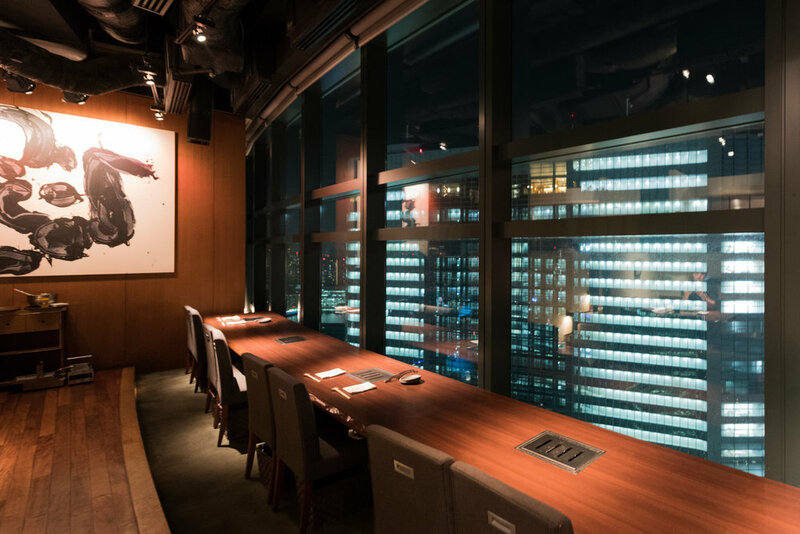 Seiyuuzan is located on the 41st floor of the Shiodome City Center building with magnificent views and a warm, rich ambiance. It’s a good place to bring friends from overseas and the prices are quite reasonable. 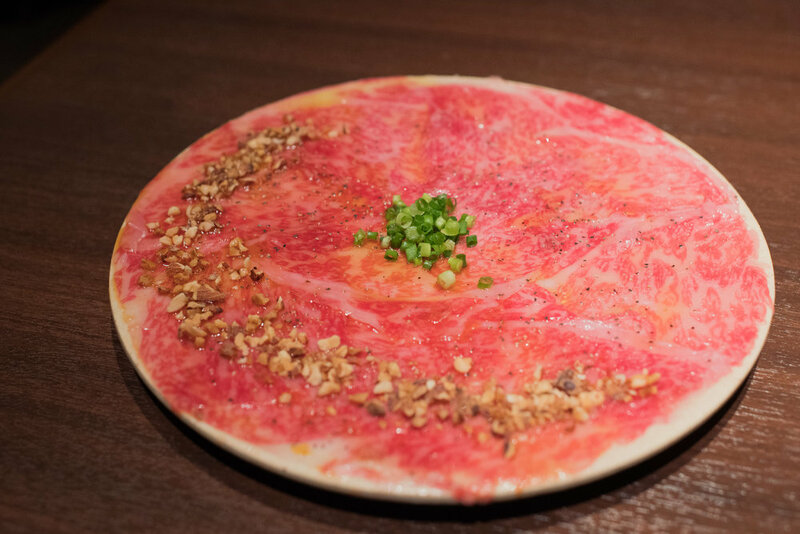 The first course is a raw beef tartar called “nihon ichi sirloin yukke”. Translation : Japan’s No. 1 Sirloin yukke. It is sliced very thin, half is tare (sauce) based, and the other half is shio (salt) based. This tartar wasn’t available during my last visit. Next came a crunchy sesame oil based fresh salad. Two beef sushi courses came after, the beef foie gras sushi and the harami sushi. Followed by the dry aged gyutan (beef tongue) from US and Japan that is so soft and sumptuous. The 2 cuts are Kobe beef fillets. Highlight of the meal, a plate of 5 different cuts of Kobe, Matsuzaka and Oumi beef.. Yes, those are the best Japanese beef brands combined in one plate. A super luxurious beef platter, I must say. 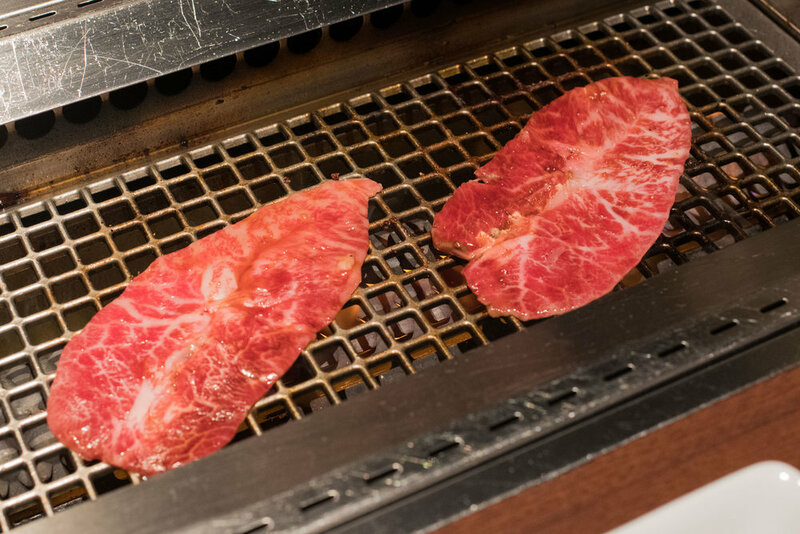 The misuji cut is grilled around 10 seconds on each side. 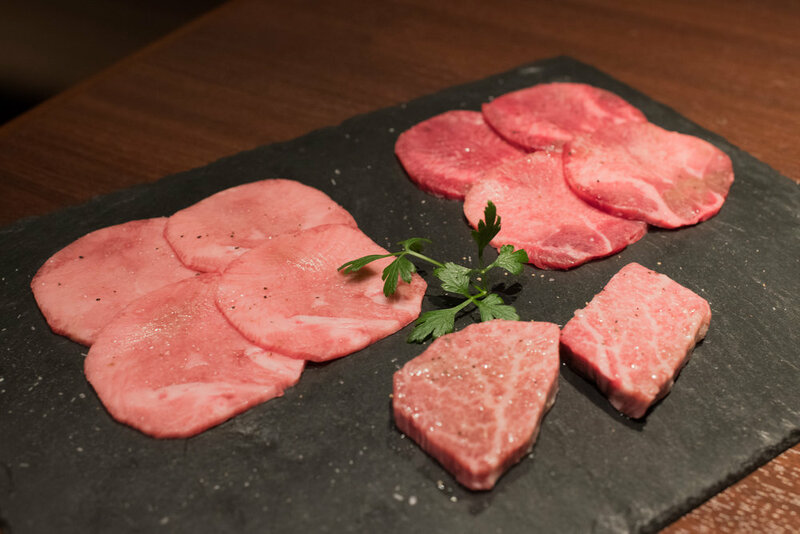 Yakisuki (a fusion between yakiniku and sukiyaki) has become a very popular menu in most yakiniku restaurants in Tokyo recently. This is the sirloin thin slice from Kobe beef. 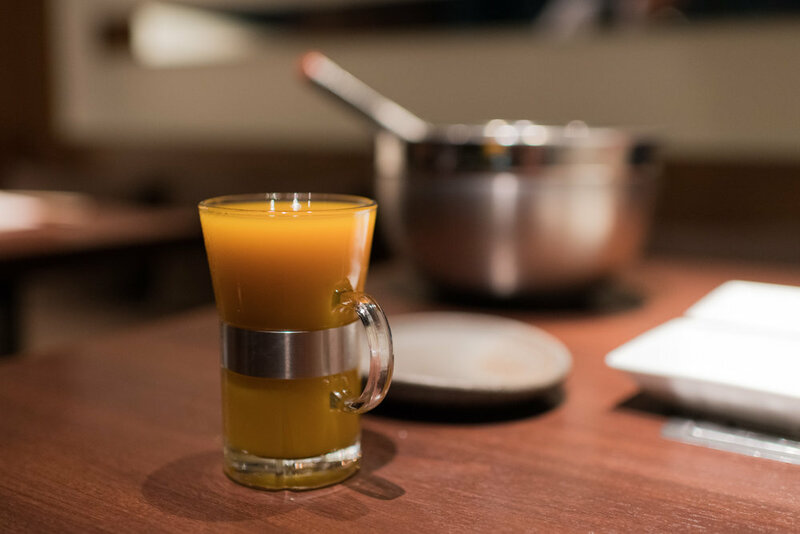 A rice and egg yolk comes after and it is recommended to gulp it all down in. There are a few choices for the main course. My friend picked the foie gras truffle bibimbap which looks more like a cheese risotto to me. But it is creamy, rich and delicious! I picked the katsu-don, beef katsu with eggs over rice. As the grass is always greener on the other side, I have to say the bibimbap tastes better. 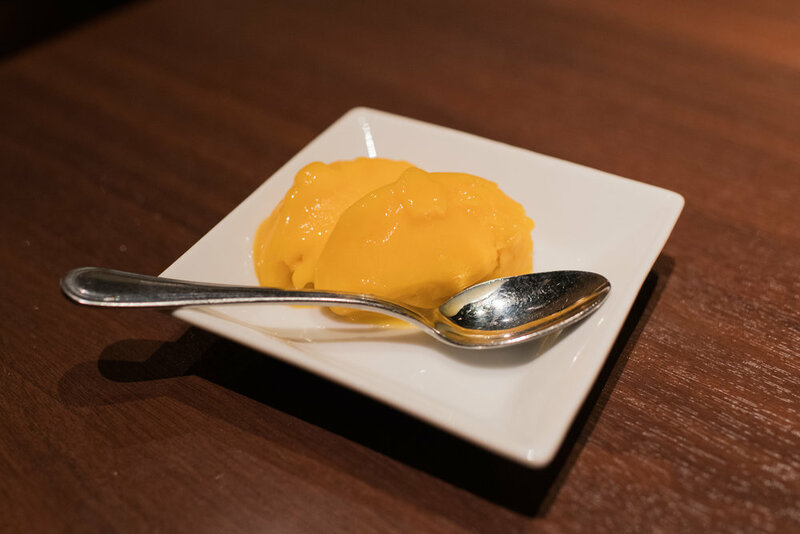 And the mango sorbet we had for dessert wasn’t just any regular sorbet. 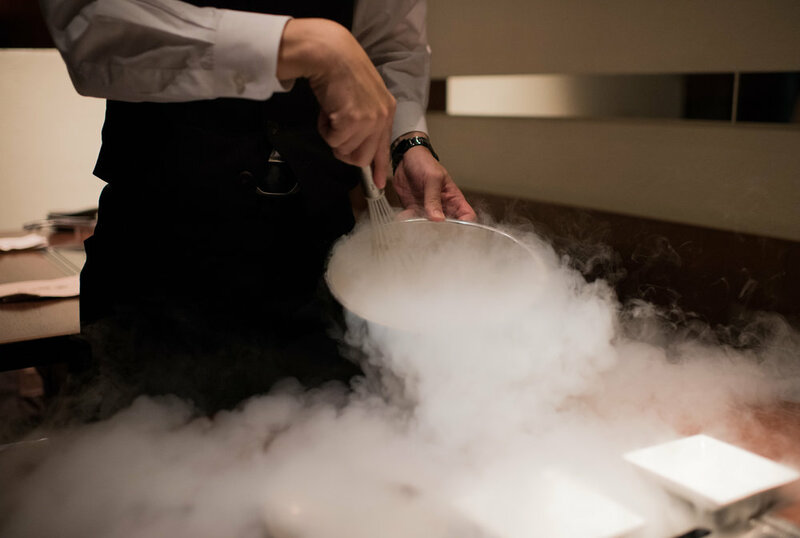 Made fresh on our table using liquid nitrogen, this dessert was a spectacle of its own, as you can witness through the series of pictures below. 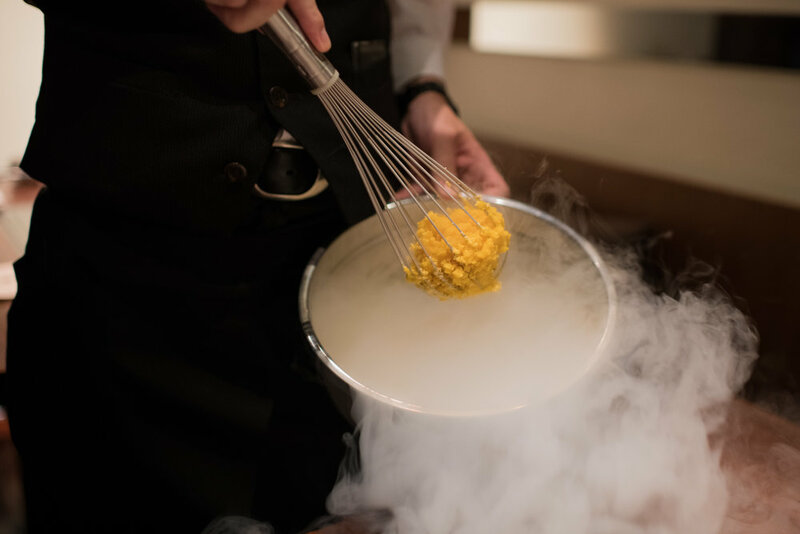 Then he poured the nitrogen liquid on the mango juice. Then it turns out like this. The mango sorbet was unique and rich. Just nice after a beef galore. 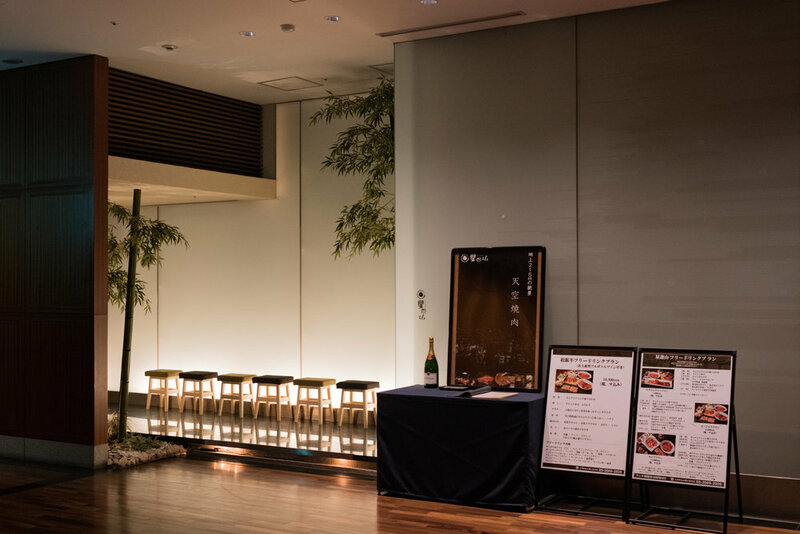 There you go, my wonderful dining experience at Seiyuuzan. We had the most elaborate course available so the price was around 15,000 yen. But they do have more reasonable courses during lunch time. Before I finish, a picture the of the restaurant’s ambiance to give you a feel of the place.